I'm from Curitiba, in the south of Brazil. My city is known as The Green Capital and for this pattern I wanted show my city as I see it, a nice balance between human contructions and nature. Here is my inspiration board with some of the photos I took around the city. I chose my favorite tree, that is also a city's symbol, the Paraná pine and its seeds (pinhão) as one of the elements; an animal that can be seen in many parks around the city (capivara) and some turistic atractions. To complete the pattern I used some photographs of plants I took during my walks. To make my sketches and build my pattern I took inspiration from J. Borges a folk artist from the northeastern of Brazil best known for his woodcut art and the "literatura de cordel" that are cheap chap-books or pamphlets written in verse telling stories about local catastrophes, popular legends, infamous love affairs, etc, illustrate with woodcut images. And this is my "literatura de cordel" in pattern about nature in Curitiba. 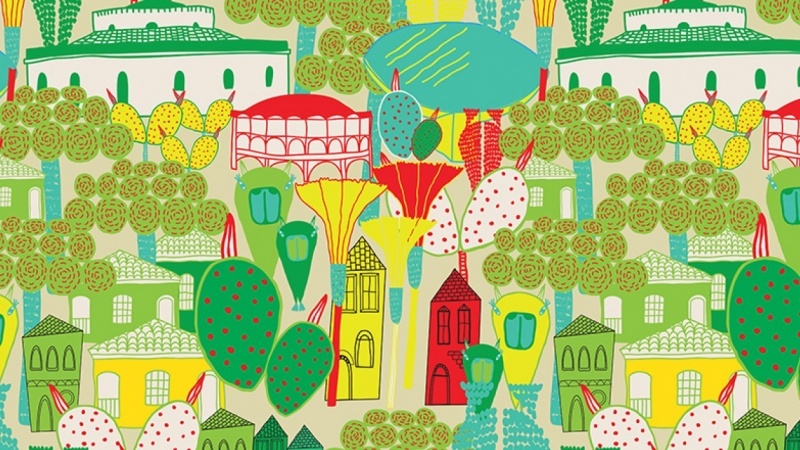 I present you my Curitiba pattern! Hope you'll like this pattern tour in my city.